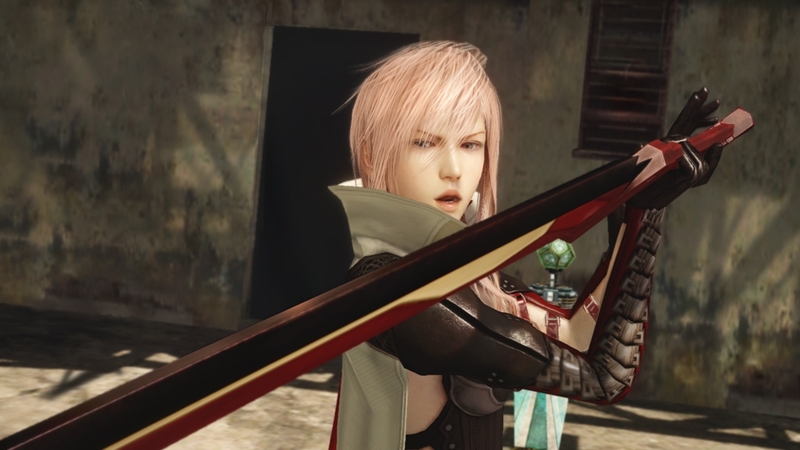 Lightning, the star of the FINAL FANTASY XIII series, is poised to face her ultimate challenge. Experience a new game world, a new battle system, and extended customization features. The epic FINAL FANTASY XIII tale is coming to a thrilling finale, but every facet of the game has been revamped to deliver an original gaming experience. The world will end in 13 days. Once again, its fate rests on the shoulders of one woman. A Luxerion-ready schema of Art of War, Cruel Grace, and Warning Sign, set with bold finishing moves and magic resistance. Schemata can be obtained in the main menu's Rewards Barter Shop after completing the tutorial. If you modify the equipment, you can use gil to buy the original item again. A Wildlands-ready schema of Shining Prince, Rising Sun, and Final Border, set with magic attacks and magic resistance. Schemata can be obtained in the main menu's Rewards Barter Shop after completing the tutorial. If you modify the equipment, you can use gil to buy the original item again. A schema of Spira's Summoner, Summoner's Staff, and Summoner's Shield, set with Elementa and able to cast magic with speed. Schemata can be obtained in the main menu's Rewards Barter Shop after completing the tutorial. If you modify the equipment, you can use gil to buy the original item again. A schema of Midgar's Flower Girl, Guard Stick, and Flower Bearer, with restorative magic and a powerful Mediguard ability. Schemata can be obtained in the main menu's Rewards Barter Shop after completing the tutorial. If you modify the equipment, you can use gil to buy the original item again. A Dead Dunes-ready schema of Shogun, Thirteen Nights, and Thunderstruck, with bold finishing moves and status defense. Schemata can be obtained in the main menu's Rewards Barter Shop after completing the tutorial. If you modify the equipment, you can use gil to buy the original item again. A Wildlands-ready schema of Utsusemi, Heavenly Fan, and Kaminari, with magic attacks and resistance to status ailments. Schemata can be obtained in the main menu's Rewards Barter Shop after completing the tutorial. If you modify the equipment, you can use gil to buy the original item again. A bundle of 3 schemata for LR: FFXIII. This nostalgic pack includes FFVII Cloud, FFVII Aerith, and FFX-2 Yuna. Schemata can be obtained in the main menu's Rewards Barter Shop after completing the tutorial. If you modify the equipment, you can use gil to buy the original item again. A Yusnaan-ready schema of Sohei Savior, Treasure Hold, and Fealty, dealing damage with area attacks. Schemata can be obtained in the main menu's Rewards Barter Shop after completing the tutorial. If you modify the equipment, you can use gil to buy the original item again. A Dead Dunes-ready schema of Flower of Battle, Jikishinkage, and Rasa, with area attacks and status defense. Schemata can be obtained in the main menu's Rewards Barter Shop after completing the tutorial. If you modify the equipment, you can use gil to buy the original item again. 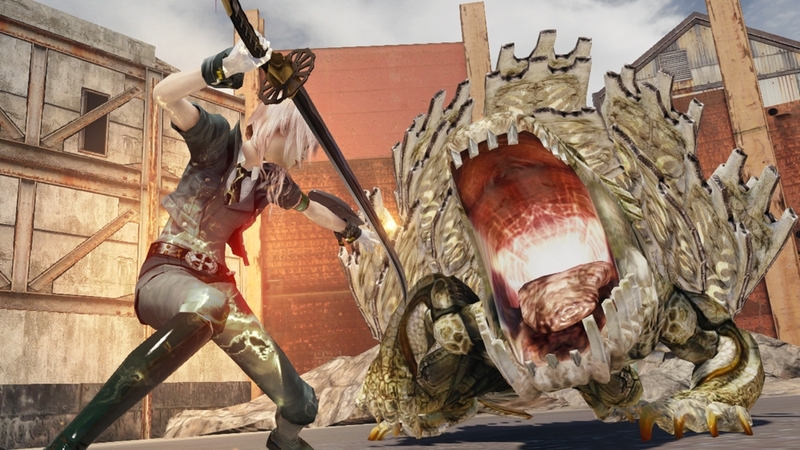 A schema of SOLDIER 1st Class, Buster Sword, and SOLDIER's Band, able to unleash Slayer under the right conditions. Schemata can be obtained in the main menu's Rewards Barter Shop after completing the tutorial. If you modify the equipment, you can use gil to buy the original item again. A bundle of 7 schemata: Shining Prince, Dark Samurai, Sohei Savior, Utsusemi, Art of War, Flower of Battle, and Shogun. Schemata can be obtained in the main menu's Rewards Barter Shop after completing the tutorial. If you modify the equipment, you can use gil to buy the original item again. A Luxerion-ready schema of Dark Samurai, Cloud Veil, and Nightwalker, with strong finishing moves and physical resistance. Schemata can be obtained in the main menu's Rewards Barter Shop after completing the tutorial. If you modify the equipment, you can use gil to buy the original item again. A schema of Cosmocrator, Crocea Mors, Abyss Gate, and Deathless Mask, with godly power and the exclusive ability Cosmic Arts. Schemata can be obtained in the main menu's Rewards Barter Shop after completing the tutorial. If you modify the equipment, you can use gil to buy the original item again. A schema of Moogle Queen, Mog's Staff, Mog's Shield, and Moogle Hat, set with Magnet and able to restore EP to the skilled. Schemata can be obtained in the main menu's Rewards Barter Shop after completing the tutorial. If you modify the equipment, you can use gil to buy the original item again. A bundle of 3 schemata for LR: FFXIII. This mixed pack includes Divine Wear, Moogle Lover, and Ultimate Savior. Schemata can be obtained in the main menu's Rewards Barter Shop after completing the tutorial. If you modify the equipment, you can use gil to buy the original item again. A schema of Celestial Body, Excalibur, Aegis Shield, and Tiara of the Goddess, set with Cross Blitz. Schemata can be obtained in the main menu's Rewards Barter Shop after completing the tutorial. If you modify the equipment, you can use gil to buy the original item again. A schema of Tomb Raider, Survivor's Axe, and Riot Shield, with abilities that boost Strength and Defense the worse things look. Schemata can be obtained in the main menu's Rewards Barter Shop after completing the tutorial. If you modify the equipment, you can use gil to buy the original item again. 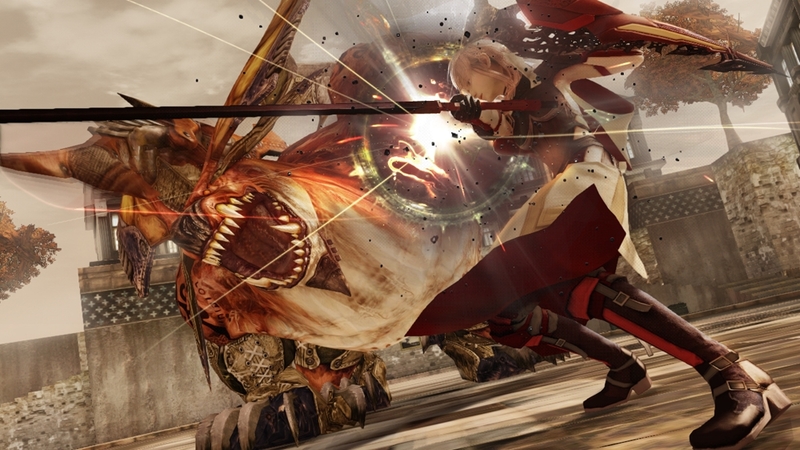 Enjoy LIGHTNING RETURNS: FINAL FANTASY XIII with Japanese voices. To switch the voice language, go to the main menu and select Settings, and then Voice. A schema of Sphere Hunter, Brotherhood, and Guardian's Protector, able to deliver Crashing Waves area attacks. Schemata can be obtained in the main menu's Rewards Barter Shop after completing the tutorial. If you modify the equipment, you can use gil to buy the original item again. Equip your Avatar as Snow Villiers! Equip your Avatar with Snow's staff! Equip your Avatar with the mysterious newcomer - Lumina! Equip your Avatar with Lightning's equipment set! 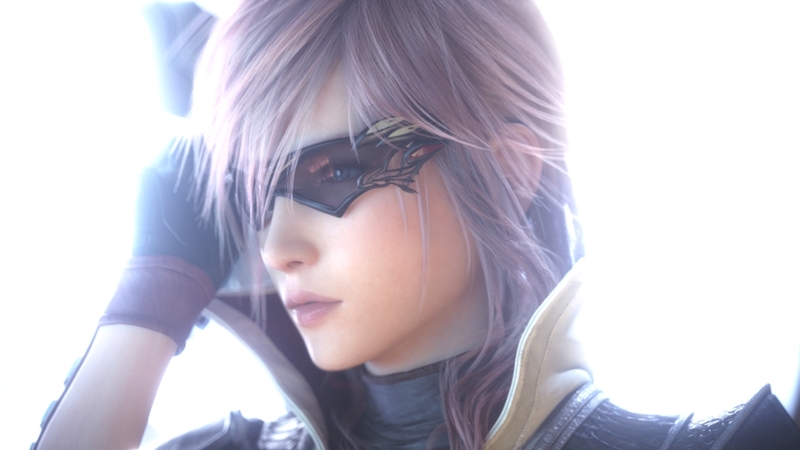 Equip your Avatar with the iconic FINAL FANTASY XIII heroine! Obtain Serah's companion pal Mog! Kupo! Equip your Avatar as the Shadow Hunter - Noel Kreiss! Customize your Avatar with this iconic LIGHTNING RETURNS: FINAL FANTASY XIII shirt!